If you live in the Milton area and you are considering purchasing a luxury car, we recommend that you check out Budds’ BMW Oakville luxury cars for sale list. Our luxury cars are exceptional driving machines and they offer performance, durability, and reliability. Our associates at Budds’ BMW Oakville can provide you with each car’s features and specials. Doing this eases your decision making process and ensures that you receive the vehicle that meets your required needs and style. As we understand that a simple list of luxury cars will not help you make the perfect choice, Budds’ BMW Oakville has provided some tips about how to purchase your luxury car. 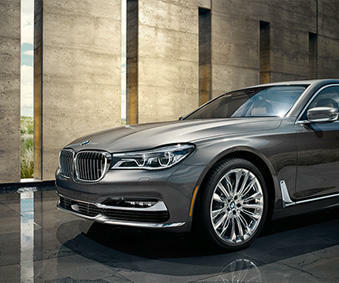 Tips on purchasing a luxury car at Budds’ BMW Oakville. As you are probably already aware, purchasing a luxury car will involve having a bigger engine with more torque and horsepower. This being said, it doesn’t mean you have to empty your pockets on gas consumption. You should be looking for a luxury car that gives you both ample performance and exceptional fuel efficiency. There are many choices of luxury vehicles that can give you a combination of fuel efficiency and power, but for the best luxury vehicles, you may want to consider choosing a BMW. The first time you buy a luxury car, you will be surely be startled by how much it is going to cost to insure it. The more expensive the luxury car is that you have chosen, the more you are going to have to pay monthly on insurance for it. We recommend you sort out your insurance details well before you purchase the vehicle. This will allow you to get a feel for your price range and look for a luxury car that corresponds with that. Purchasing the luxury car you have always dreamed of should not be a chore! It should be a pleasurable and worthwhile experience. With how many available features and specifications available on some luxury cars today, it makes perfect sense to be picky and take your time in deciding which option is best for you. Whether you want a big touch screen or an entertainment system for the kids, this is all achievable. Spending the time on deciding what specific features you want your luxury car to have can also help you narrow down a dealership that can accommodate your choices, and get you into your dream car as soon as possible. Taking into consideration the repair requirements and overall maintenance of your luxury car is very important. Car brands like BMW can offer you free maintenance for the first 50,000 kms on a new vehicle. The more expensive BMW models tend to come with even more impressive and useful maintenance and bonus features. Hopefully the tips provided above will be an asset to you in your search to find your dream luxury car. If you are in the Milton area, we recommend that you visit Budds’ BMW Oakville to search our extensive luxury car inventory.